“The Chicagoes were not, as aforesaid, able to make a clean hit,” wrote the Philadelphia Inquirer of what it said to be “the first game on record in which such has been the case in a professional game.”1 The first no-hitter in professional baseball was thrown on July 28, 1875, by 21-year-old Joe Josephs, an amateur who had been signed by the Philadelphia White Stockings, who were desperate for pitching help. His name really wasn’t Josephs, a pseudonym created so his baseball-disapproving family wouldn’t see his name in the newspaper accounts. Neither was it his other pseudonym, Nedrob, a reversal of his true last name, Borden. A week after his gem, Borden faced a tough challenge coming to Boston to face the champion Red Stockings team, which was a dominating 48-4 and was riding a 28-game home winning streak. Boston would not lose a home game the entire season, on their way to its fourth straight pennant. 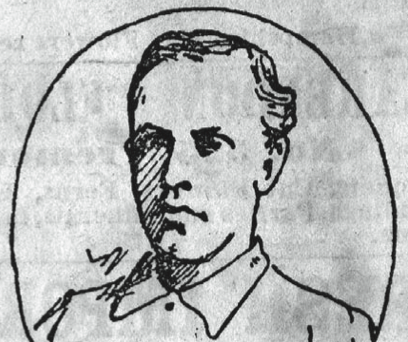 The Red Stockings’ ace pitcher, Albert Spalding, Borden’s mound foe, had won 43 games. A small crowd of between 500 and 1,000 spectators was there, “the threatening weather doubtless keeping many away,” wrote the Boston Globe.3 Fred Cone, a Boston outfielder in 1871, was the umpire. Cone had been a member of the Forest City club of Rockford, Illinois, along with future Red Stockings players Spalding and Ross Barnes. Philadelphia's Tim Murnan scored the game's first run in the third inning when he and John McMullin singled, and Murnan scored when right fielder Jack Manning lost a fly ball in the sun.5 Boston quickly tied the game in the bottom of the inning as Deacon White singled, went to second on a passed ball, to third on an error by Pop Snyder, and home on a groundout by Jack Manning. Fergy Malone led off the fourth for the visitors with a two-base hit and came home on Chick Fulmer's single to center to reclaim the lead. Neither team could accomplish anything in the fifth, but each scored a run in the sixth. For Philadelphia, Fulmer and Fred Treacey singled, and Fullmer came home on an error in shallow center by Boston shortstop George Wright. This gave Philadelphia a 3-1 lead. Boston stayed within one run in its half of the inning. Ross Barnes doubled, stole third, and came home on Andy Leonard's grounder to first. Philadelphia would not cross the plate again on this day; in fact, only two more batsmen reached first base. Boston's fielding by this stage was practically perfect, making it more difficult for the White Stockings to reach safely. After a quiet seventh inning, Boston tied the score in the eighth. Barnes reached on an error and stole second. With Andy Leonard at the plate, Borden gave Boston “a present of a run”6 and overthrew to Malone at first, allowing Barnes to scamper home. Philadelphia almost went ahead in the 10th inning when Levi Meyerle tripled to "extreme left field,"8 but the blow was wasted as he was stranded by the next batter, Fergie Malone. Boston went out one-two-three in its half. In the visitors’ 11th, a single by Snyder brought the Quaker City's hopes up, but George Wright and Ross Barnes's double play kept the team off the board. For Boston the time was now. Leonard opened the inning by lining out to Malone at first. The next batter, Jim O'Rourke, tripled to the same spot in deep left field where Meyerle had hit. He brought home Boston's 49th victory on a grounder by Cal McVey to Murnan at second. Al Spalding then ended the game with an easy grounder to first. Boston outhit Philadelphia, 9 to 8, with Boston's O'Rourke and Philadelphia's Chick Fulmer leading their respective nines with two hits apiece. The game was played in threatening weather in front of just 500 spectators in 1 hour and 50 minutes. The Boston Traveler called the game "the most exciting contest ever witnessed in Boston. "9 The Globe agreed, writing, “(T)hose that did take the chances of the weather were more than pleased with the afternoon’s entertainment.”10 The win extended Boston's lead over the second-place Philadelphia Athletics to 10½ games in the National Association. With the loss, the White Stockings remained in fourth place with a 23-22 record, 22 games behind the Red Stockings. "Athletic Sports — A Great Game on the Boston Grounds," Boston Daily Advertiser, August 5, 1875: 1. "The Bostons and Philadelphias Meet on the South End Grounds," Boston Post, August 5, 1875: 3. 1 "Base Ball. Philadelphia vs. Chicago — the Chicagoes Fail to Make a Run,” Philadelphia Inquirer, July 29, 1875: 2. 2 “The White Stockings Beaten by the Philadelphias, and the St. Louis Browns by the New Havens,” Chicago Tribune, July 29, 1875: 5. 3 "Yesterday's Sports: The Bostons Beat the Philadelphias After Eleven Innings," Boston Globe, August 5, 1875: 5. 5 Tim Murnan later changed the spelling of his surname to Murnane, and joined the Boston team the following season. He managed, umpired, and — most notably — became baseball editor of the Boston Globe for more than 30 years, until his death in 1917. 6 "Yesterday's Sports: The Bostons Beat the Philadelphias After Eleven Innings." 9 "Base Ball — The Most Exciting Game in Baseball," Boston Traveler, August 5, 1875: 1. 10 "Yesterday's Sports: The Bostons Beat the Philadelphias After Eleven Innings." 12 "Athletic Sports — A Great Game on the Boston Grounds," Boston Daily Advertiser, August 5, 1875: 1.